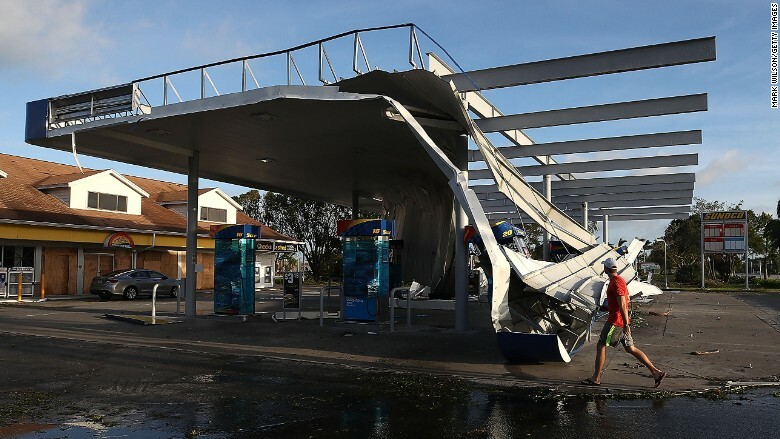 Winds from Hurricane Irma badly damaged the roof of a Sunoco gas station in Bonita Springs, Florida along the state's western coast. Significant damage to major ports could further complicate matters. Hurricane Harvey forced the shutdown of the Port of Corpus Christi in Texas for a record six days -- and other ports faced restrictions that delayed shipments. However, Florida appears to have avoided the worst-case scenario that Irma threatened. That suggests Florida's ports may recover faster than Texas ports did. "My hunch is those gasoline outage numbers are going to drop very, very fast. By next week, things should be very close to normal," said Tom Kloza, global head of energy analysis at the Oil Price Information Service. Port Tampa Bay, the state's largest port, only suffered "very minimal" damage, port officials told CNNMoney. The U.S. Coast Guard expects to reopen Port Tampa Bay on Tuesday at 2 p.m. ET, port officials said. There are three petroleum vessels scheduled to deliver fuel to once the port reopens. "It's a small miracle," Paul Anderson, the port's president, said in an interview. "I can't tell you how relieved we are that we're not in a full-blown recovery. It could have been weeks of repairs." On Monday, dozens of tanker trucks were loaded with fuel stored at Port Tampa Bay and sent out for delivery. 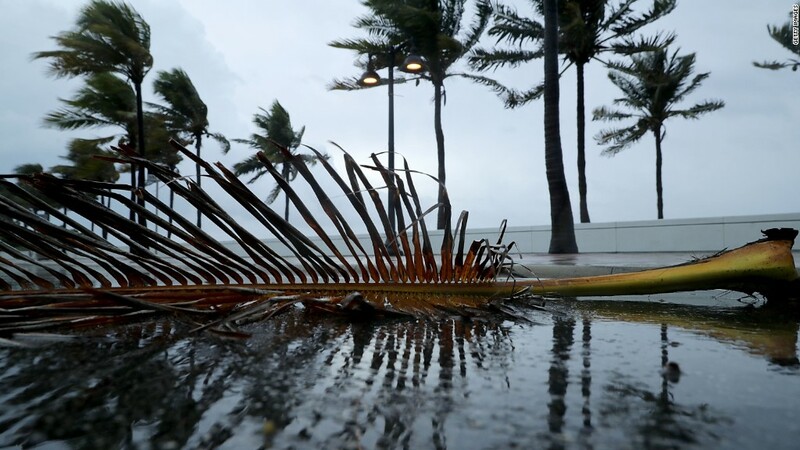 Port Everglades, located in Fort Lauderdale, said in a statement on Monday that it is assessing damage and plans to reopen to vessels following approval from the U.S. Coast Guard. The port accounts for one-fifth of Florida's energy requirements and receives more than 12.5 million gallons of petroleum products each day. Unfortunately, recovery efforts could be hampered by Hurricane Jose, which could move near Florida later this week. "The window to make repairs or get deliveries may be quite small" due to Hurricane Jose, said Hillary Stevenson, director of oil markets at research firm Genscape. Other logistical challenges stand in the way of restoring Florida's gas situation, especially widespread power outages that have left some gas stations in the dark. "We need to get their power restored in order for the fuel to begin running in their pumps," said James Miller, director of communications for the Florida Petroleum Marketers and Convenience Store Association.